Outstanding resorts and legendary golf courses. Here’s a Quick Reference Guide of Area Courses that are open to the public or that may be limited to resort guests or may be available only through package deals. Homes and Building Lots are available at most of these courses, and some of them have golf condos and townhomes. There are several other totally private residential country clubs in the Pinehurst area. The Carolina (Arnold Palmer), Whispering Pines, NC. 18 holes. Less than 10 minutes from Pinehurst, near the Moore County Airport. Challenging course. (910) 949-2811. Country Club of North Carolina (Ellis Maples and Robert Trent Jones) Private gated community in Pinehurst, 36 championship holes, limited to members only. (910) 692-6565. Southern Pines CC (Donald Ross), Southern Pines, NC, (910) 692-6551. Awesome course. Reasonable Rates. 10 minutes from Pinehurst and in the heart of Southern Pines. Beacon Ridge CC (G. Hamm), Seven Lakes, NC, (910) 673-2950. 18 holes. In Seven Lakes West, 20 minutes from Pinehurst. OK Course. Foxfire CC Foxfire Village, NC, (910) 295-5555. 2 Very Good Courses just 10 minutes from Pinehurst. Hyland Hills Golf Club (Tom Jackson), Southern Pines, NC, (910) 692-3752. 18 Holes. Nice Course. Great Rates. Located on Hwy. 1 just North of Southern Pines. Knollwood Golf Club (C. Pitts) (9 hole course), Southern Pines, NC (910) 692-3572. Good place to get in 9 quick easy holes. Easy Course. Legacy Golf Club (Jack Nicklaus II), Aberdeen, NC, (910) 944-8825. 18 Holes. 15 minutes from Pinehurst on Hwy. 15-501. Very Good Course. Little River Country Club (Dan Maples), Carthage , NC (910) 949-4600. 18 Holes. Very Scenic & Hilly. Longleaf Country Club (Dan Maples), Southern Pines, NC (910) 692-6100. 18 Holes. Between Pinehurst and Southern Pines on Midland Road. Easy course and convenient. Midland Country Club (9 hole course), Pinehurst, NC, (910) 295-3241. Easy 9 Holes. Midland Road between Pinehurst and Southern Pines. Mid Pines Golf Club (Donald Ross), Southern Pines, NC (910) 692-9362. 18 Holes. Challenging but fair. Beautiful place. Open to Resort Guests and Public. On Midland Road across from Pine Needles in Southern Pines. Mid South Country Club ( Arnold Palmer), Southern Pines, NC (910) 692-3193. 18 Holes. Excellent Course. On Midland Road across from Longleaf. No. 1 (Donald Ross), open to resort guests and members. No. 2 (Donald Ross), open to resort guests and members. No. 3 (Donald Ross), open to resort guests and members. No. 4 (Tom Fazio), open to resort guests and members. No. 5 (Ellis Maples), open to resort guests and members. No. 6 (Tom Fazio), open to resort guests and members. No. 8 (Tom Fazio), Resort Course Only. Pine Needles Golf Club (Donald Ross) Southern Pines, NC (910) 692-7111. 18 Holes. Open to Pine Needles Resort Guests and Public. On Midland Road in Southern Pines across from Mid Pines. 5 minutes from Pinehurst. Pinewild Country Club, Pinehurst NC, (910) 295-5145. Both very good courses. Private. Off Linden Road in Pinehurst. Seven Lakes Country Club (Peter Tufts), Seven Lakes, NC (910) 673-1092. 18 Holes. Course OK. 20 minutes from Pinehurst off NC Hwy 211. Talamore Golf Club (Rees Jones), Southern Pines, NC (910) 692-5884. 18 Holes. Great Course. In Southern Pines on Midland Road. 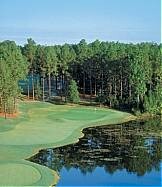 Tobacco Road Golf Club (Mike Stranz), Sanford, NC (877) 284-3762. 18 Holes. 30 minutes North of Southern Pines just off US 1 North. Great Course. 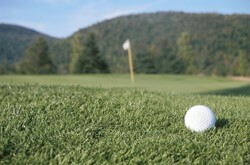 Whispering Woods Country Club (Ellis Maples), Whispering Pines, NC (910) 949-4653. 18 Holes, 10 minutes from Pinehurst.